This stuffed portobello mushrooms recipe is a Simple Appetizers. 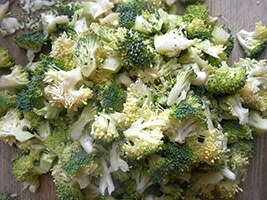 If you are looking for vegetarian recipes, make this quick & easy appetizer. 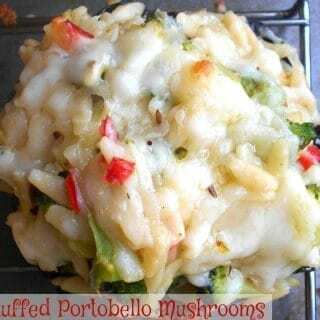 I have always called this, “stuffed portobello mushrooms recipe”. 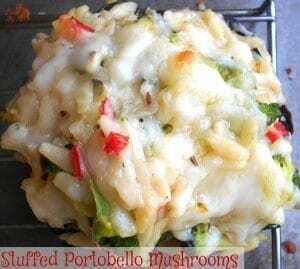 Some of my friends prefer calling it, “stuffed portobella mushrooms recipe”. The way I have always understood it is that the smaller version is referred to by its feminine name: “portobella”. When the mushrooms are big, they are referred to as “portobello”. Either way, this recipe is delicious and I am not biased because it is my recipe. 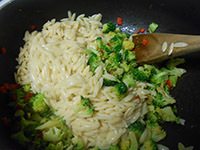 The combination of orzo, broccoli and red chili pepper is what makes this recipe absolutely irresistible. With minimum of spices, it comes together in 30 minutes. I love serving this for brunch, but, it works great as a snack or an party appetizer. To make this a vegan recipe, omit the cheese. I also eat the stuffing by itself for a quick lunch idea. 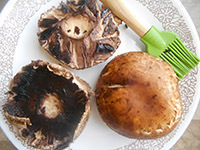 2) Remove the stems from 6 portobello mushrooms and remove the black stuff from the inside using a spoon. 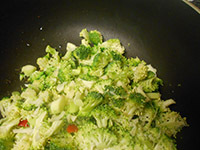 Take 1 Tbsp of oil and brush the mushrooms with it. 3) If you have a grill, use that to grill the mushrooms. If not, place them on a rack and place a tray underneath. Put the mushrooms on top of the rack and place them in the oven. Roast them for no more than 7 minutes. When done, remove and set aside. 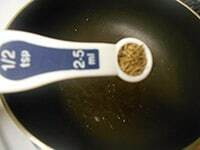 3) In a pan, boil about 5 cups of water. 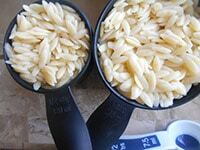 Add 2/3 cup of uncooked orzo to it and cook for about 17 minutes. Drain them and set aside. 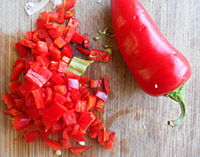 10) Add the red chili pepper and mix well. 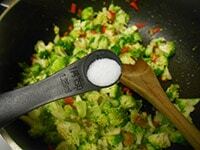 14) Add 1/2 tsp of balsamic vinegar and mix well. Remove from heat. 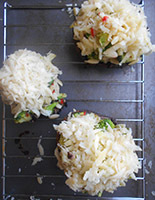 15) Take the roasted mushrooms and top with the orzo mixture. I used about 3-4 Tbsp for each mushroom. 17) Heat for another 5 minutes or until the cheese has melted. 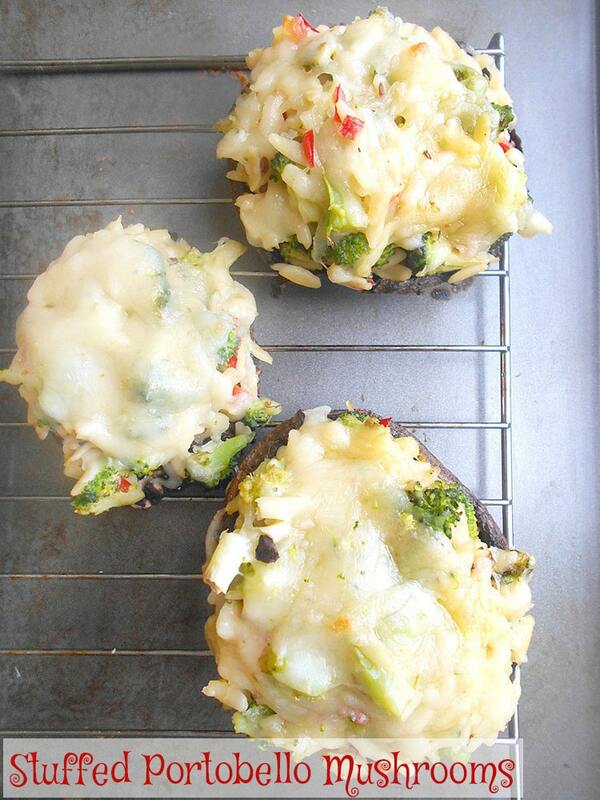 Serve these stuffed portobello mushrooms recipe immediately. 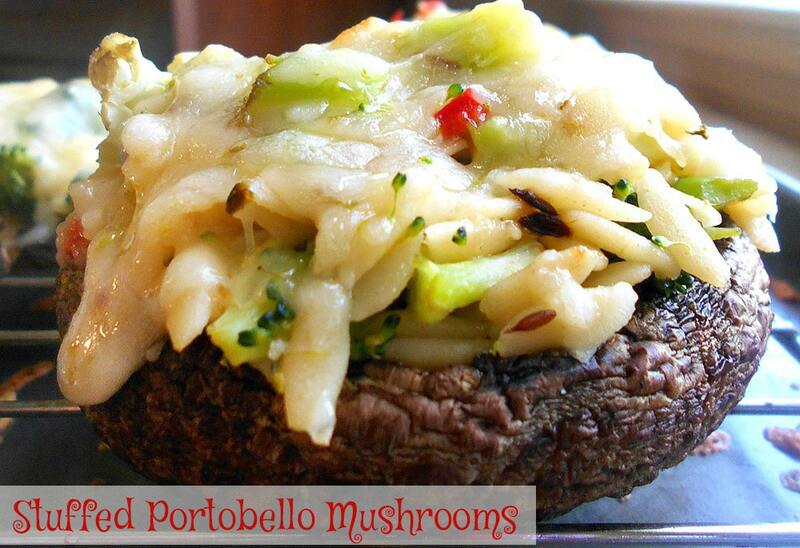 Remove the stems from 6 portobello mushrooms and remove the black stuff from the inside using a spoon. 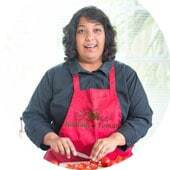 Take 1 Tbsp of oil and brush the mushrooms with it. If you have a grill, use that to grill the mushrooms. If not, place them on a rack and place a tray underneath. Put the mushrooms on top of the rack and place them in the oven. Roast them for no more than 7 minutes. When done, remove and set aside. 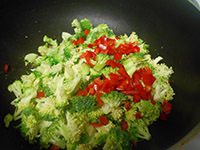 Add the red chili pepper and mix well. Add 1/2 tsp of balsamic vinegar and mix well. Remove from heat. 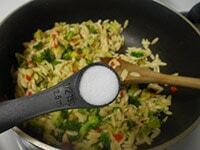 Take the roasted mushrooms and top with the orzo mixture. I used about 3-4 Tbsp for each mushroom. Heat for another 5 minutes or until the cheese has melted. Yum your stuffing a favorite with another favorite.